There’s a Canadian indie-label that emerged in 2008, that have just put up a forthcoming release for digital streaming. 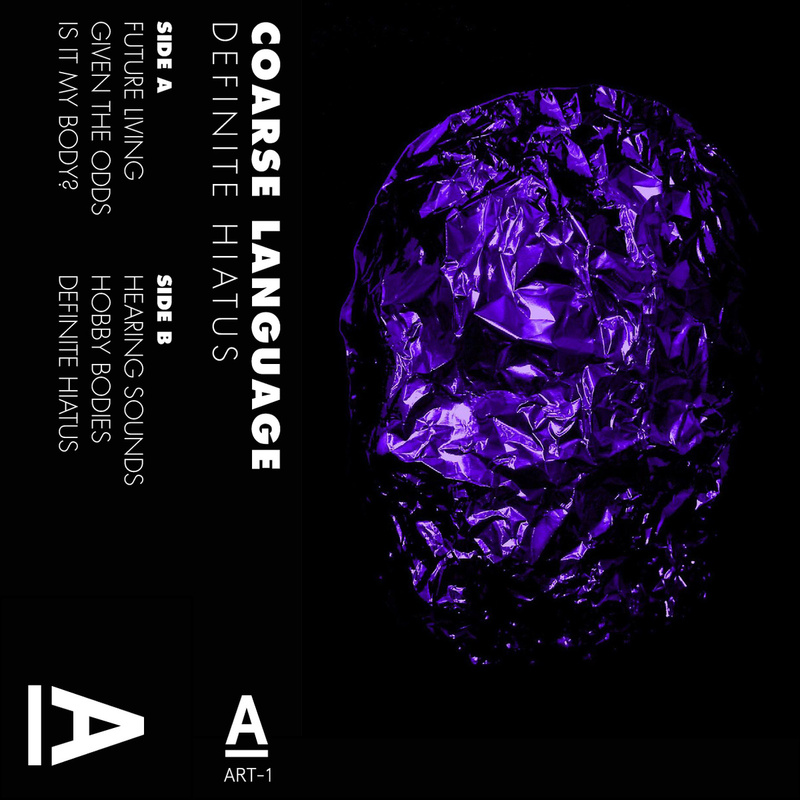 It’s a label called Artificial Records – and their latest addition to their quick growing discography is an album called: “Definite Hiatus“, produced by Coarse Language—an artist (or group) unknown to us. A suitable description for their music would be “deranged electronica“, since the erratic beats and paranoid whispers conjure a prime setting for weirdness. One could also name it experimental minimal wave, but there are so many different influences at play so an umbrella term is hard to set for this kind of music. Not to mention how their melodies swiftly change, with dark baselines that draw out the worst sides of mankind in a musical setting. Multiple personalities, or alter-egos, which make the arrhythmic noise seem more friendly from one track to another — but be on your guard because they’re predators. Sometimes the melodies take the upper-hand but there’s always a minimalistic reminder of how shrouded, clad in spikes, dressed for destruction their environment is — thrashing melodies, relocating sound into bizarre harshness. We’re not that interested in the psychological aspects of the sound, but rather how it is audio-visually—a thing Coarse Language seem to know how to do. They’re perfect alarmists with a subliminal message, whether it was originally intended for it to be like that, is not something to take into account. But a lot of the complexity in the sound reveal that another more obvious vein shows—a repetitive message (lyrically) which is contrasted by the sheer amount of invention—they seem to possess. If we’re wrong, they might even be playing with illusions to deceive; with their maniacally tedious passages later on in other tracks on the album. Even though it only contains six tracks, it’s a gem that you might not appreciate right away—rather when you’re able to sculpt your own interpretation of them. Listen to their release down below and buy a limited edition cassette (50 units) from Artificial Records — if you want a physical item.